Home > Books > O Pioneers! Frontier and pioneer life - Fiction. O Pioneers!, Willa Cather's first great novel, is the classic American story of pioneer life as embodied by one remarkable woman and her singular devotion to the land. Alexandra Bergson arrives on the wind-blasted prairie of Nebraska as a young girl and grows up to turn it into a prosperous farm. 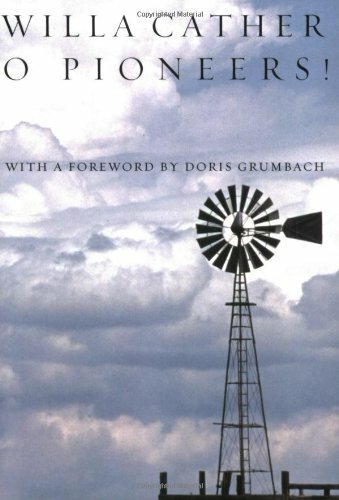 In this unforgettable story,Cather conveys both the physical realities of the landscape, as well as the mythic sweep of the transformation of the frontier, more faithfully and perhaps more fully than any other work of fiction.